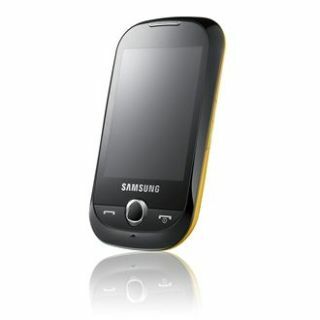 Samsung has launched its latest touchscreen mobile phone, the Genio Touch, to appeal to the younger market. The new phone, which features a 2.8-inch QVGA touchscreen and Samsung's proprietary TouchWiz interface (which means access to the imminent app store as well), hasn't been priced as yet, but TechRadar was told it was likely to retail for around £60. However, there are few extra features on there to more than warrant the price on the 103 x 56.5 x 12.0 mm, including haptic feedback, a 2MP camera, FM radio with song recognition and integrated social networking. The latter feature appears to be the fulcrum of the phone, with the ability to upload to Flickr, Picasa, Photobucket and YouTube, as well as direct posting to Facebook and Twitter. The Genio Touch will also be available in a variety of colours, including Jamaican Yellow (or 'yellow') and Minimal White (also known as 'white'). You may have noted the phone was announced earlier in the month as the Corby, but has clearly been given a refresh for the UK market. Whether the mooted price tag of £130 will stay is, as yet, unknown. The Saturdays have been roped in to promote the new Genio Touch, and had the following to say about the phone: "We love the fact the Samsung Genio Touch comes in such bright colours! We've all chosen our favourite ones and have found it so easy to upload our status updates and favourite photos to Facebook and Twitter. "We hope our fans will catch our new single 'Forever is Over' on the FM radio on the phone. The Samsung Genio Touch is just perfect for us!" You see what they did there? Promoted a single at the same time as extolling the virtues of the phone? Nice work. Except there are only four colours - surely it's going to be catfight o'clock when two of them have the same shade? Samsung has said the new phone will be released in the UK any day now on most major networks, and the Jamaican Yellow version will be available exclusively at The Carphone Warehouse.